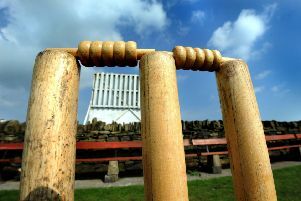 After the washout of the previous week, Monkseaton CC 1st XI got off to a winning start in their inaugural Northumberland and Tyneside Cricket League campaign. Playing in Division 6 North, skipper Mark Tunstall’s side travelled north to face Ulgham 2nds, and came home with 30 points after a comprehensive 72-run victory. Opener Richard Ord (60) and number three batsman Kevin Elliott (70) both produced fine knocks as Monkseaton posted 175-4 from their 40 overs. In reply, Ulgham were dismissed for 103 and couldn’t cope with Monkseaton paceman David Gowar who took six wickets for 22 runs in his eight overs. The 1st XI will look to build on this promising start when they host Rock at Churchill Playing Fields on Saturday (1pm start). In Division 6 South, Monkseaton 2nd XI were left to rue a below-par batting performance as they were beaten at Churchill by Newcastle 3rds. After winning the toss, skipper Garry Benns put the visitors into bat and saw bowlers Jordan Murphy (5-14) and Tony Errington (4-28) help bowl out Newcastle for 129 and claim a full five bowling points. However, the 2nds found runs hard to come by in reply, with only Eric Thompson (21) managing any score of note in a disappointing total of 72 all out. The 2nds will hope to improve when they travel to Bomarsund 2nd XI on Saturday (1pm start). *The club holds regular net sessions on Tuesday evenings from 6.30pm at Churchill Playing Fields.